Practicing yoga poses can have tremendous physical and cognitive benefits for kids. Those hard skills, like balancing, sequencing, fine and gross motor coordination, are all pretty easy to recognize and measure. We can plainly see children’s progress over time and celebrate physical milestones. But how do we measure skills that are harder to quantify? As parents and educators of young children, we spend a lot of time agonizing about how we are creating opportunities for kids to learn “soft” skills - those important abilities that will ultimately determine their success in life, in love and as a member of our society. Many of these skills, we recognize, are ones we might be still learning ourselves and, if you are like me, we wonder if we are even “getting it right” most of the time. In the poem, “All I Really Need To Know I Learned In Kindergarten”, Robert Fulghum argues that the most important education we receive is not academics, theory and book-smarts, but rather the social and emotional skills we develop from play and human interaction. We believe yoga class is a wonderful place to cultivate many of these “soft” skills. 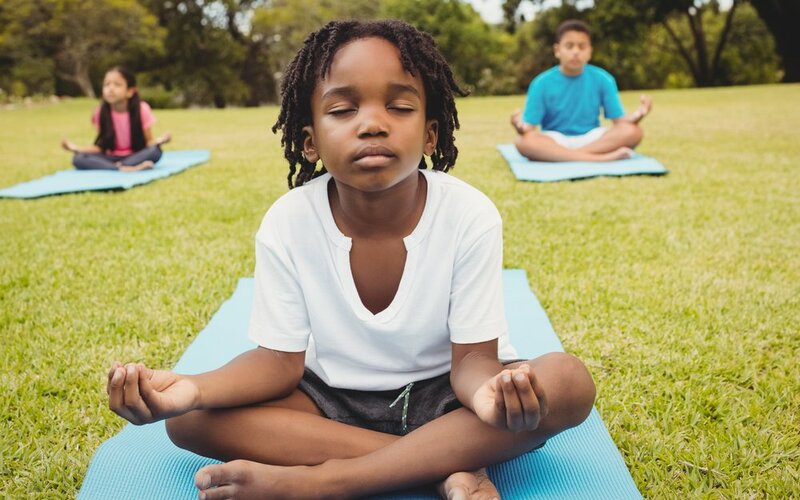 Sure, it’s not the only place to we can work on this stuff, but yoga does provide a safe, calm and non-competitive environment for children to learn. The ability to “bounce back” from difficulty, stress, failure, disappointment and other challenging circumstances is both something we are born with AND it’s something we learn. If you have ever had the pleasure of a toddler meltdown - in public - because it’s raining…or not raining…or the slice of pizza they were just so happy to receive is “FLOPPY”, then you may be aware that we begin our lives at quite a deficit when it comes to managing disappointment and frustration. But, we are also naturally wired to learn and grow. When we do that, challenges are not just inevitable, they are imperative. Watching a baby learn to walk is watching a baby fall a thousand times and get right back up and try again. Learning is instinct, it’s innate. And failure is just information, so we know how to adjust our approach the next time. We would never think…”Oh, that baby is such a loser, he will never get this walking thing. Maybe he’s just not cut out for this.” But we are very quick to think things like that about ourselves all the time. Many of us learn to judge ourselves as children, often through the language used and actions modeled by adults around us. But there is a better way. Childhood can be a perfect place to practice grit, and be rewarded for risking and failing big time. Are we celebrating the result or the process? Are we more interested in the ultimate success or all the effort that led there? Are we encouraging kids to take risks and fail? Or do we want them to play it safe because of our own discomfort with imperfection? Yoga classes provide a safe and nurturing space to learn and practice resilience. When we begin a new class, most of our students can barely stand on one leg, much less balance for an extended amount of time while maintaining calm body and breath. I often hear young children say things like “I can’t do it” or “I’m not good at this” or “This is too hard.” What I love about working with kids is that adults who are new to yoga often have the exact same reaction, but not out loud! It’s okay to have those thoughts…we all do…and we can start to shift our perspective when we add one word - “YET”. “I can’t do it yet” means we know if we are willing to struggle and try, that “can’t” is not fixed in stone. It opens us up to the possibility of success and the idea that the process of learning something new is actually the reward. Yoga is a practice of mindfulness, or awareness without judgement. It is the ability to observe and take in all that is present in the moment, all that is happening as well as the sensations, emotions and triggers without attaching meaning, evaluation, or reason. It’s being where we are, doing what we are doing, fully immersed in the present moment. Have you ever had the experience of arriving to work and not really remembering how you got there? Or leaving your house and then returning to double-check that the oven is off or the door is locked? We do countless “mindless tasks” every day - whether we’re washing the dishes, getting dressed, or waiting in line for our morning coffee, how often is our body in one place and our mind somewhere else - worrying or regretting? Not only is this inefficient, but we are robbing ourselves of contentment because joy and happiness are only available to us in the present. Imagining how we WILL feel keeps us from actually feeling. It’s exhausting. Multi-tasking is a lie. Our brains can actually only focus on one thing at a time. People who are “good at multi-tasking” are actually just really great at switching so quickly from one thing to another that it is nearly imperceptible. But even for those people, this creates massive inefficiency and dissatisfaction. If we can only focus on one thing, bringing the power of our mind to the present is how we lead full and joyful lives. Mindfulness helps us notice how distracted we are. Like many working parents, I would be spending time with my kids worrying about work and then be at work worrying about my kids. It was hard not to judge myself…and it still is. Hey, I’m a mindfulness teacher and yet I spend a majority of my day in the mental hamster wheel of future and past. But now I also have tools that help me notice those moments and then gather myself back into the present. The more I practice, the easier it gets. I’m learning this in my forties…what if I had learned these tools when I was four? Sit comfortably with support or lie on your back. Allow your body to relax. Release your shoulders and rest your arms in your lap or alongside you on the floor. Close your eyes. Start with your feet. Bring your attention to your toes, the soles of your feet and then your ankles. Notice any sensations present without judging. There are no good feet, or bad feet. Take a deep breath in and then exhale to relax the muscles, bones, joints of your feet. Take another deep breath in and increase the awareness of your feet. Exhale and acknowledge anything that comes up. Stay present and breathe as long as you want. Move up the body. When you are ready, move this awareness slowly up your body, pausing at each place to notice and breathe, without judging. Start with the lower legs, then work your way up to the knees, upper legs, glutes, hips, belly, torso/ribcage, chest/collarbones, neck/shoulders, fingers/palms/hands, lower arms, elbows, upper arms, shoulders/neck, jaw, cheekbones, eyes, brow, temples, head. If you are practicing with young children, you may want to shorten this roadmap to feet, legs, belly, chest, hands, arms, shoulders/neck, face, head. Ask them to breathe and notice how each part of their body is feeling. Stay present and compassionate. There are likely places in your body that will be less comfortable, maybe due to stress, injury, body-shaming, or past trauma. Breathe deeply into that discomfort, noticing anything that arises without judgement. If you can, stay in those places breathing and observing until you feel the discomfort lessen. It may not fully disappear and that’s okay. Don’t be surprised if you, or anyone you are guiding through this practice, fall asleep during the scan. This practice calms the nervous system, can help with insomnia and regulates sleep in high-stress situations. No time for a mindful Body Scan? Try an abbreviated version of this body scan while you are waiting for the train, or in line at Starbucks. Just by bringing awareness to your body and breathing, you immediately bring yourself into the present. As teachers and parents, we can use our own practice to help us model mindfulness for children. When we learn to be in the moment, we become a mirror that reflects exactly what we see happening without judgment or evaluation. These types of fact-based observations can also be extremely helpful in conflict resolution or times of emotional upheaval. The minute we start become present, we may be surprised to notice there are a lot of feelings…big emotions we were burying with busyness and escaping through distraction. We learn to do this. Early in life, we are taught that there are “good” feelings and “bad” feelings, positive and negative emotions. Grown-ups say things like “Stop crying,” or “It’s not that big a deal,” or “Get over it” or “Don’t be such a baby.” We are encouraged to stop or hide feeling sadness, anger or frustration and that those feelings are not good and not welcomed. But what if that is not true? What if emotions, are just…emotions? If we don’t attach these judgements, these feelings simply become helpful information. Mindfulness allows us to hold safe space for ALL emotions, name them, feel them, acknowledge them, and ultimately, release them. By cultivating our own emotional intelligence, we naturally also develop the ability to put ourselves in someone else’s shoes. Our capacity for empathy starts with our own emotional IQ. Young children are really good at the feeling part - it’s all they know how to do. When an emotion comes, they feel it with their whole body, their whole being and there is nothing else happening in their world. Small children don’t yet understand that emotions are temporary, which can make big feelings really uncomfortable. When grown-ups respond to a sobbing child by saying “You’re okay, it’s okay, nothing’s wrong” it actually creates a cognitive dissonance for that child. They are feeling one thing and being told something else. How confusing! Our ability to give children tools to regulate their emotions begins with our own capacity for empathy, which means we have to do this work first. Then, when we can play comfortably within the vast range of our own emotions, we can help children name and tame theirs. In his book, The Whole-Brain Child, neuropsychiatrist Dr. Dan Siegel explains that, when a child is having an emotional experience, their developing left-brain or logic-brain has been taken off-line. It has been hi-jacked by the primitive lower brain, amygdala, responsible for our survival and our fight/flight/freeze response. This is not a time to argue the finer points of why their upset makes no sense (even if we are painfully aware it doesn’t). This is the time for us grown-ups to practice mindfulness. We must bring ourselves fully into the present, take deep breaths, connect emotionally from a place of calm and empathy, and then observe WITHOUT JUDGEMENT. Here is the key, you don’t have to fix it, change it or solve it..nor should you. Our job is to continue to connect, reflect, breathe, and hold space for that child. Just by being there, fully present, we provide the safety for them to come into regulation on their own time. Once their logical brain is back on-line, then we can ask questions or discuss strategies for conflict resolution. Sit in a circle, at morning meeting, end of the day or anytime the class could use a check-in. Pass the breathing ball around in a circle, have each child take a turn leading a round of breathing. After leading a breath, each child takes a turn saying how they feel. Acknowledge and reflect their response. Make the breathing ball and other calming tools available in your classroom and encourage children to use them to breathe through emotions and upsets. Being with and breathing through emotions are tremendously valuable life skills. Children’s yoga classes provide the opportunity to practice these tools in moments of calm and fun, which then allows them to be accessible in the midst of challenge. It’s impossible to teach a child Dragon Breathing during a meltdown. But if you have been practicing dragon breaths for weeks, that habit will already be ingrained and all the child will need is a gentle reminder…and an empathetic breathing partner! Like most of life, yoga classes provide the opportunity for an individual learning experience in a group setting. Let’s say we are all in a kid-friendly tree pose…the focus and strength we bring into the room encourages everyone to practice and move together. Energetically, we hold each other up. As our world and our work become more connected, we must develop the ability to communicate and collaborate in teams. Research has also shown that the most successful teams are made up of people with diverse upbringing, abilities, experiences and socio-economic backgrounds. These teams thrive in the ability to create and encourage different ways of thinking and solving problems. How does yoga help with communication and collaboration? First, the best yoga teachers encourage students to find their own expression of a pose, acknowledging that yoga is for every body and that every body is unique. We have the pose fit the body rather than the body fit the pose. When I started practicing yoga, I was convinced I was “not flexible” and had never in my whole life, been able to touch my toes. Through my practice, I found out I didn’t have to be flexible to do yoga…then, in that freedom, I found flexibility that was right for me. I was listening to my own body and then expressing myself through my practice. In kids yoga, there is a ton of collaboration, listening and communicating. The children are encouraged to share ideas which inform the direction of our class. It is our job, as educators, to always be ready to say “Yes!” By acknowledging their unique contribution, we empower their voice and also model high-functioning creative teams. Soon, the children begin to do this for each other, listening for new and interesting ideas and then bringing them to life. Partner yoga and group poses are a perfect opportunity to combine mindfulness, emotional intelligence and communication while empowering the children to have agency in the direction of their learning. Start by practicing Boat Pose solo to build core strength and body awareness. Invite children to try some partner boats, including canoe! Ask children to share how it felt to work as a team and what was different about doing a pose together. Every invention or idea that has made a huge difference in the world was initially laughed out of the room. Thomas Edison’s lightbulb was predicted to be “a conspicuous failure,” Alexander Graham Bell’s telephone was called “hardly more than a toy.” The horse was here to stay and the automobile was pronounced a fad. According to a 1966 issue of Time magazine, online shopping “while entirely feasible, will flop – because women like to get out of the house, like to handle merchandise, like to be able to change their minds.” And, of course, no one was ever going to be interested in having a personal computer in their home! At the time, each of these ideas seemed ridiculous, so outside the box that no one could even imagine the possibility they held. Even the inventors themselves often did not predict the enormity of their own creations. They simply followed a curiosity, a line of inquiry, a single question, followed by another, followed by another. If we want to solve the problems of the world, we need the creativity that comes from play, authenticity and nonsensical imagination. Luckily, we are born with it! Children are innately curious. If you have ever spent a few hours with a two year old, you have likely been the victim of the incessantly repeated why. Questioning and learning are foundational pieces of human development and we can continue to cultivate this skill into adulthood even when we think we have learned all there is to know. Start with a framework: "We know that some animals live in water. Let's sing a song about some of the animals we see under the water." Children are now prepared and excited to share their ideas. Ask for their ideas "What animals will we see today?" Be ready to say yes to creative responses! Cowfish? Crab Monster? Rainbow unicorn whale? Yes, yes, yes! If you get stumped, ask another question…”What does a cowfish look/sound/move like? Partner up for more social emotional learning. Have some children create the sea (coral, rocks, algae, waves) while others become the animals swimming through. Keep asking questions - what happens if the water is cold or hot, slow or fast. What happens if we find trash or plastic in the ocean? The best learning environments both challenge us and also set us up for success. Our brains are wired to repeat actions and create habits that are positively reinforced. By cultivating these five life skills, we can create a life of constant growth, learning and creativity, both for ourselves and our children. Get started with kids yoga and mindfulness at home or in your classroom today! For extra guidance or more resources, browse our listing of free yoga and mindfulness videos available 24/7, or request a Yo Re Mi kids yoga class or educators’ workshop at your school. Rachel Costello is the Executive Director of Yo Re Mi. 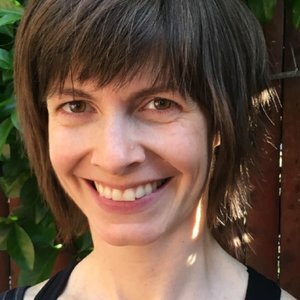 She is a professional touring musician and Yoga Alliance registered teacher (ERYT200, RCYT, RPYT, YACEP) specializing in hatha, vinyasa, prenatal, postpartum, and yoga for labor and delivery. Through Yo Re Mi Rachel brings musical yoga enrichment to NYC children. Rachel has taught adults and children since 2005 and believes yoga harnesses our innate energy to increase self-awareness, confidence, health, positivity and balance, while having FUN!